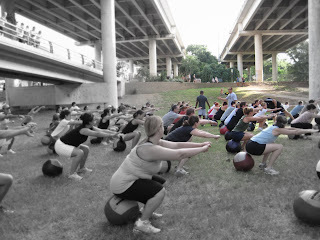 One of the most exciting things about my job is coaching large groups of people through a Crossfit Workout. Lumbar Curve! Lumbar Curve! Hi Jeremy, how do I email you? or you can email me judy@judypaul.com. i love the bootcamp you are awesome - thanks!